Very often I feel afraid only to discover the fear is all in my mind. There can be a lot of factors that stimulate fear. The most common cause is what we think. Since every seed produces after its own kind, the thought I think will produce corresponding emotions. Positive thoughts produce optimism and negative thoughts produce pessimism. Loving thoughts produce feelings of safety; fearful thoughts produce fear. When we repeatedly think fearful, negative thoughts we get into a cycle that can become a life pattern. One subconscious cause for the emergence of fear can be a guilty conscience. 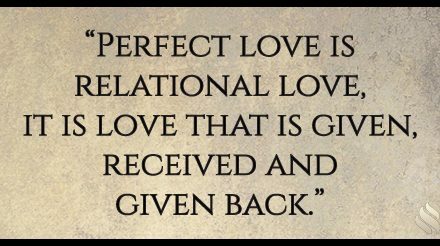 It doesn’t matter if the guilty conscience comes from doing something really bad or simply not walking in love. Our heart condemns us when we violate our conscience. We begin to expect bad things from God and people. A guilty conscience alters my perception of God, myself and others. It can lead to paranoia. We tend to project our internal fears onto others. We become suspicious and judgmental. We think they are the cause of our fear. Keeping a clear, healthy conscience is one way we guard our hearts. 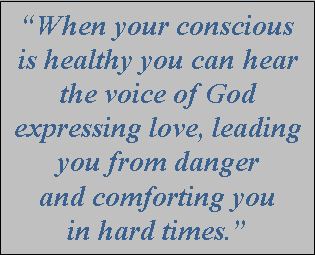 When your conscious is healthy you can hear the voice of God expressing love, leading you from danger and comforting you in hard times. CLICK HERE and join me this week to discover The Voice of the Conscience. PreviousWhat is the conscience and what does it do? 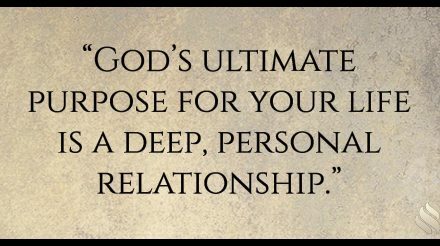 How can I know what’s actually mine in Christ? It seems the more I sacrifice for my spouse the less he/she appreciates me! Why is it so difficult for me to live the way Jesus taught us to live?